Check the version information in the lower right. Select a language to review by using the appropriate language selector button. Review the changes listed to see what commands have been added or modified. 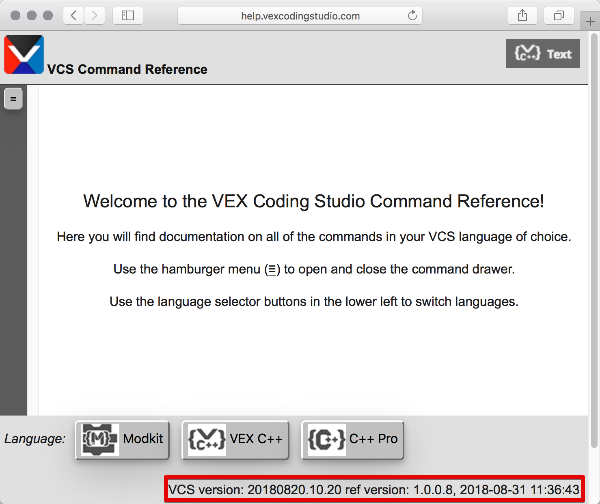 Compare the version number in the lower right corner of VEX Coding Studio (VCS) to the VCS version number on the command reference page. 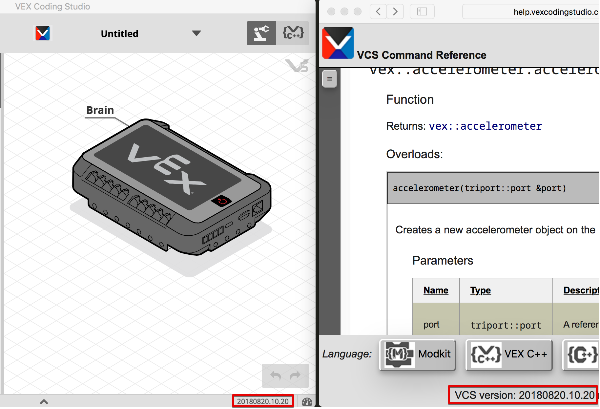 NOTE: The VEX Coding Studio Command Reference is kept up-to-date with the latest version of VCS. Reach the screen shown above by starting a new project in VEX Coding Studio, or by closing and reopening the VEX Coding Studio application. 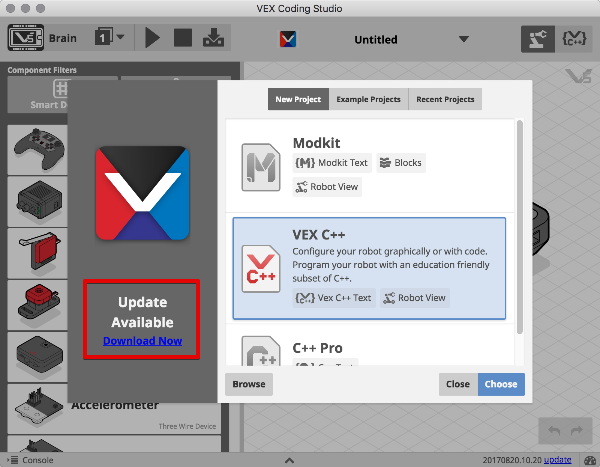 Click the Download Now link on the left side of the New Project screen in VEX Coding Studio.